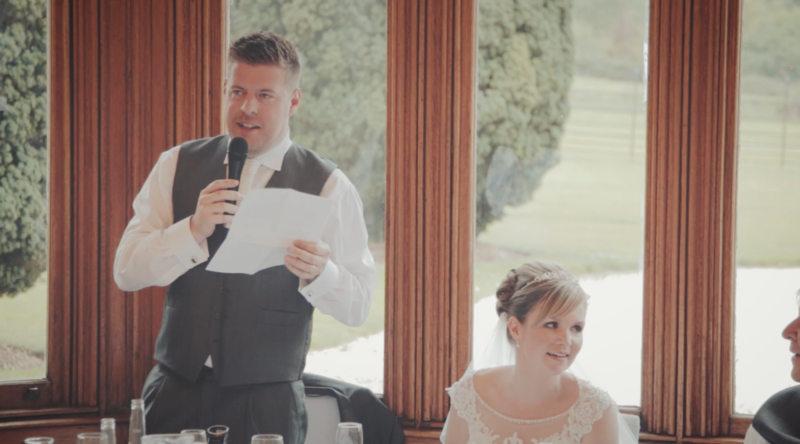 Most wedding venues in the Cornwall, Devon and the South-West can offer the use of a mic & speaker system for speeches. We’re 100% happy either way! But for wedding videos, this does have a range of pros and cons. We can (almost always) run a line straight from the speaker/pa system). This means no need to put radio mics on speakers. This helps with speakers’ nerves, and saves us time when setting up! Clean audio. If the house system is working right, we can get super crisp voices for the speeches. Sound checks. Mic or no mic, people talk at different volumes – so as each speaker gets going, we have to monitor audio levels to ensure quality. The disadvantage here is that the recorder needs to be placed next to the speaker/pa system, rather than by our legs, so we have to duck away and check it from time to time. No one ever notices us (the speaker commands all the attention! ), but if you do happen to see us sneaking off, I promise we’re not just abandoning post! Audio drop outs. Technology doesn’t always behave. And it tends to misbehave most when a room full of people are watching, especially when the nearby staff have no idea how to troubleshoot! While the speakers can remedy the problem by shouting, it causes big problems for your film’s audio (namely, you don’t have any!) – if we’re set up to capture from the house mic, the shouty voices sounds pretty rubbish from our in-camera audio. Cue panicked running around as we grab the lavalier mics. Moving mic away from faces (aka the biggest problem). 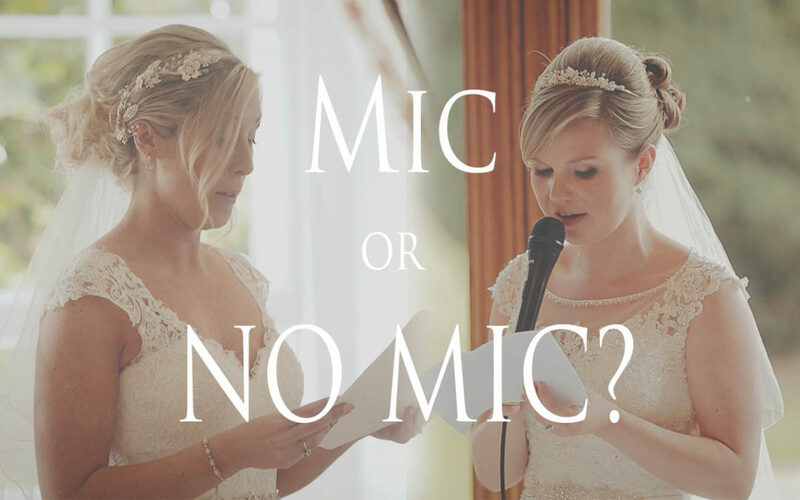 With our lav mics, they always stay the same distance from the speaker’s mouth, so levels are fairly consistent. But when using a handheld mic, people move it closer and further away – when there in person we naturally compensate for the change, but for the film audio, it can be tricky trying to level it all out in post-production. We can hear from the bride!!! 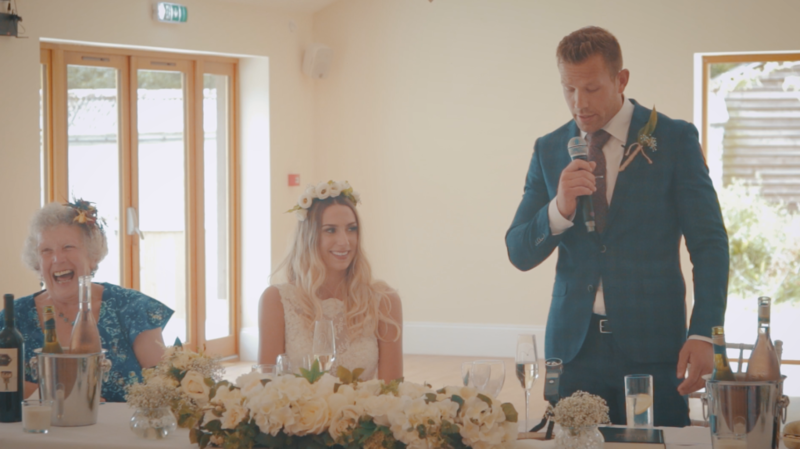 It’s quite rare for a bride to volunteer to give a speech, so we rarely hear the ladies’ thoughts on the day, and the life ahead with their new spouse. 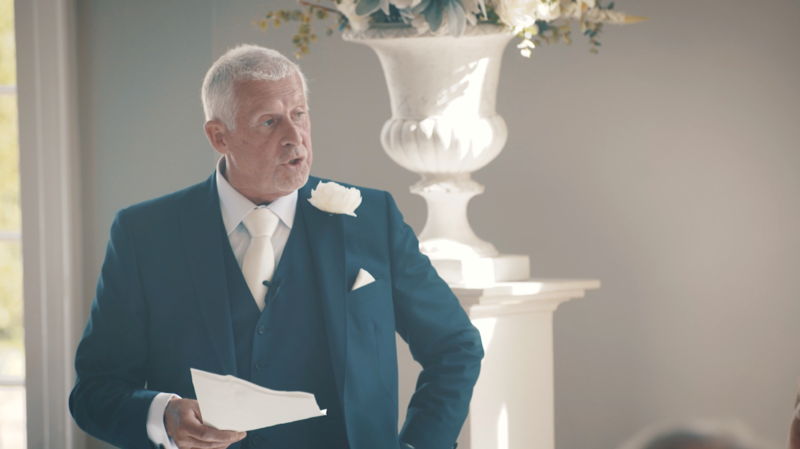 With the letter reading, we get a great double dose – the bride’s words in her letter, as spoken by the groom, as well as the bride reading the letter she received in return. Hearing from the bride adds to the story we can tell hugely. And with a letter reading, it can be done in private, without any embarrassment of public speaking or display! It’s a tough one. We like not having to worry about lav mics (which can be subject to radio interference, or put on poorly by inebriated speakers). But it’s also nice to have more complete control over the audio. We’ve done each setup dozens of times though – so we’re happy either way! Just be sure to tell what you’re doing before the day, so we can get it all sorted as quickly as possible on the day!